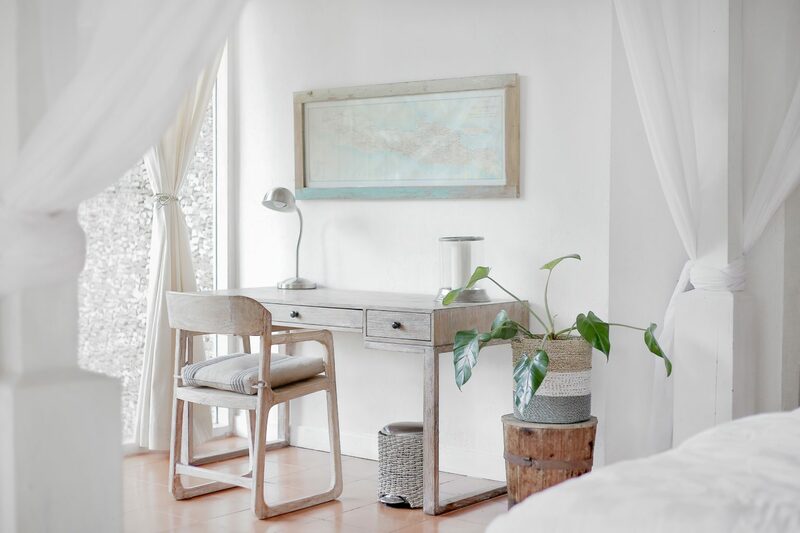 Mornings are the time of day that are most hectic and when you have to get ready for the day, you would want a few peaceful and glorious moments for yourself, which will only ensure a better day. 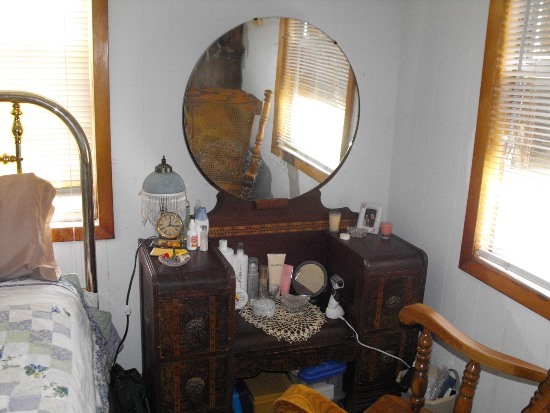 Well, for women, vanity tables can play a great role in that. 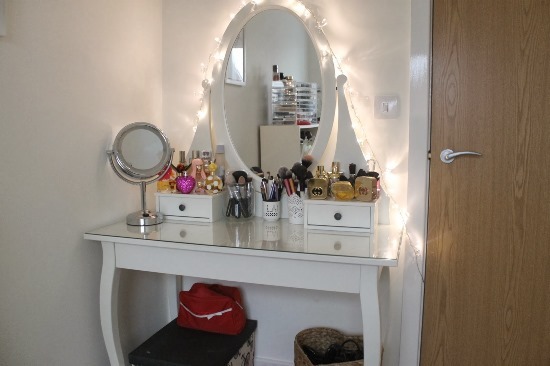 Putting on your makeup and getting ready in a jiffy or in a place that is quite a crowded corner of your bathroom can very well ruin your would-be-perfect day. 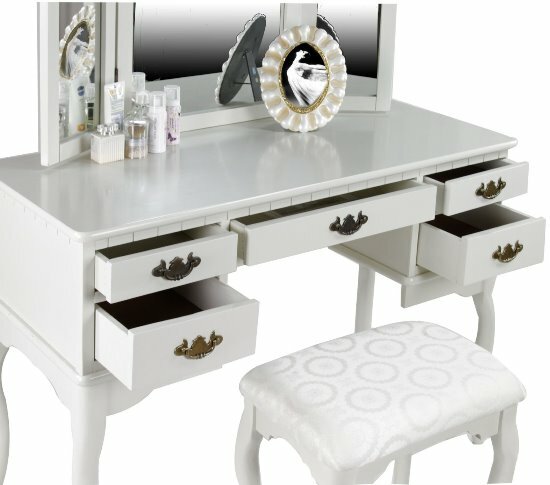 However, a few vanity table ideas can sure improve not only your mornings but your entire day as well. 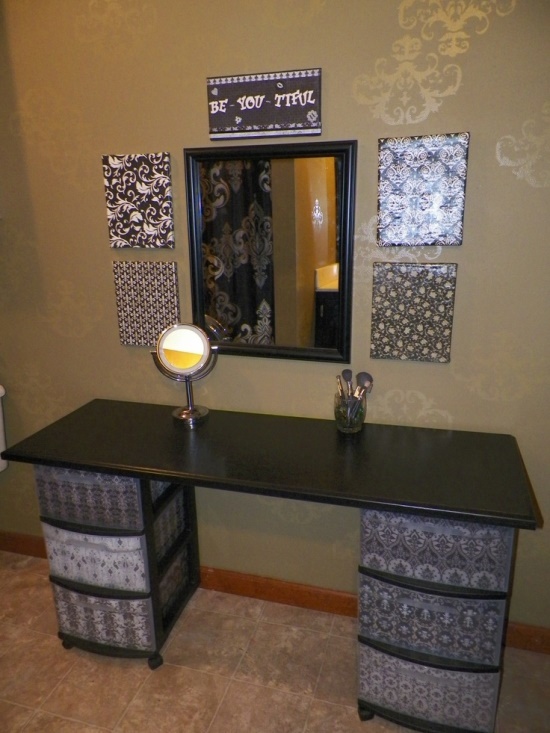 You may either install a ready-made vanity table or opt for a few cool and chic DIY ideas for the same. 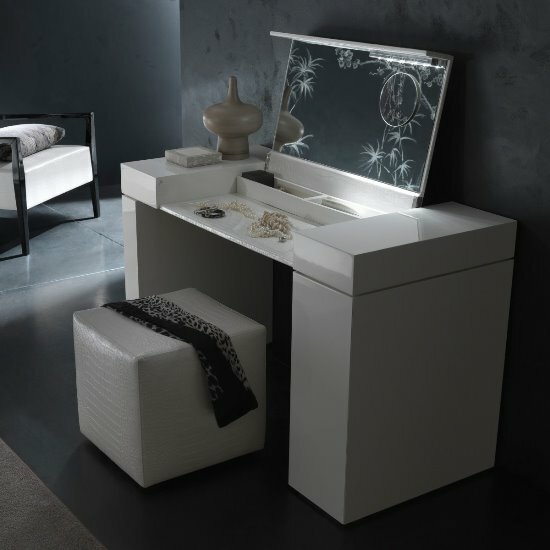 For starters, you might want to think of things that might make your vanity table a great utility for you in the hectic mornings. You could either choose to set up a DIY makeup vanity table in whichever way you find comfortable for you and in whatever corner you want it to be. 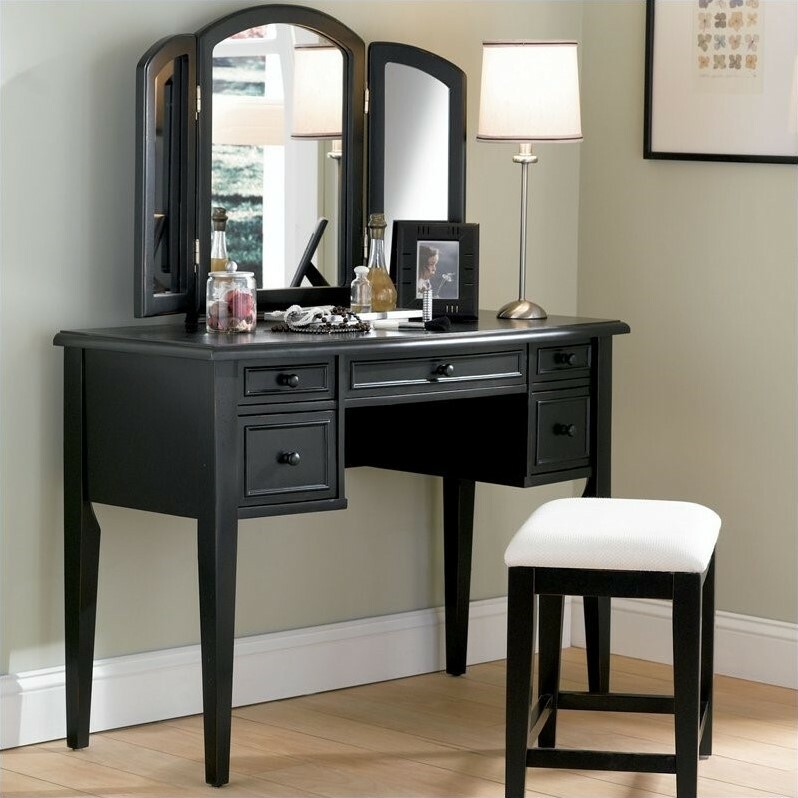 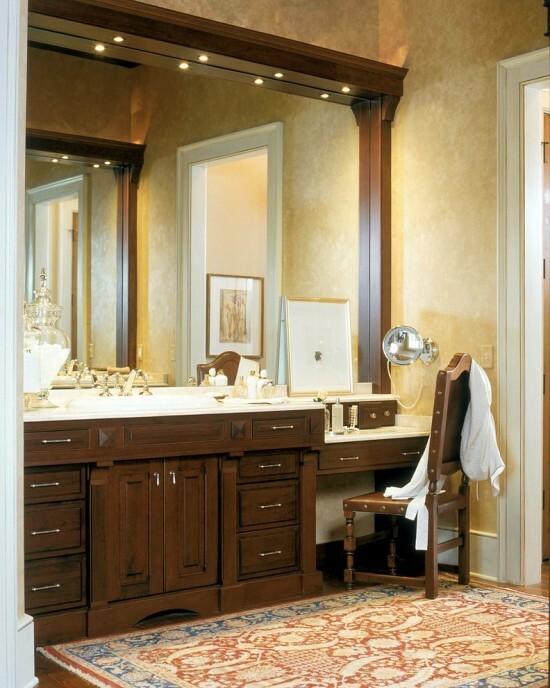 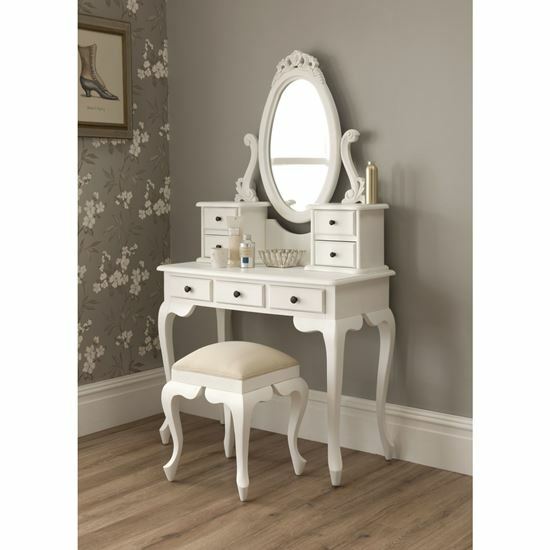 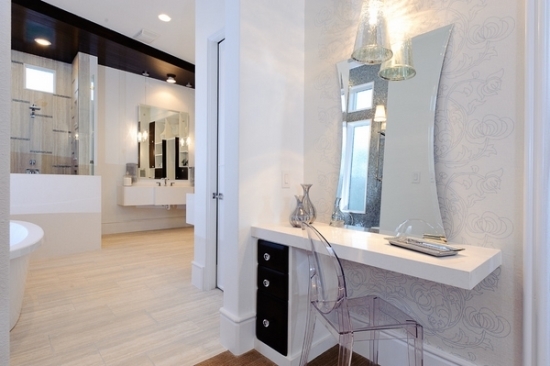 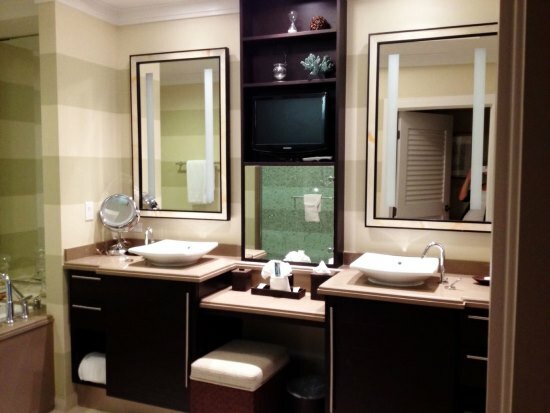 You could set up your vanity table in your bathroom or even a selective corner of your bedroom. 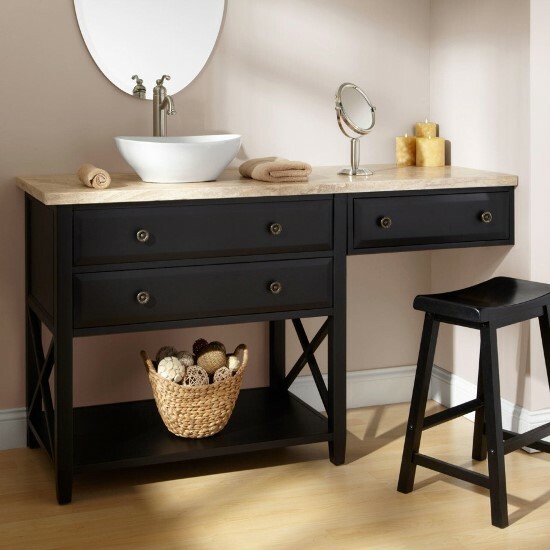 Whatever place you choose, it should be one that can provide you with sufficient space that you need to get ready for the day. 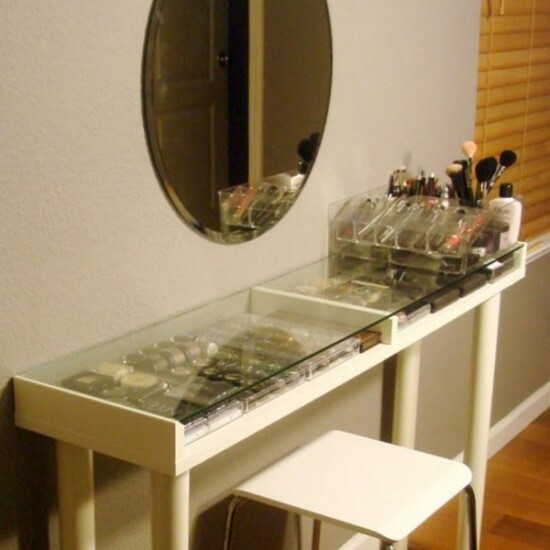 IKEA offers you best deals as far as DIY vanity tables are concerned. 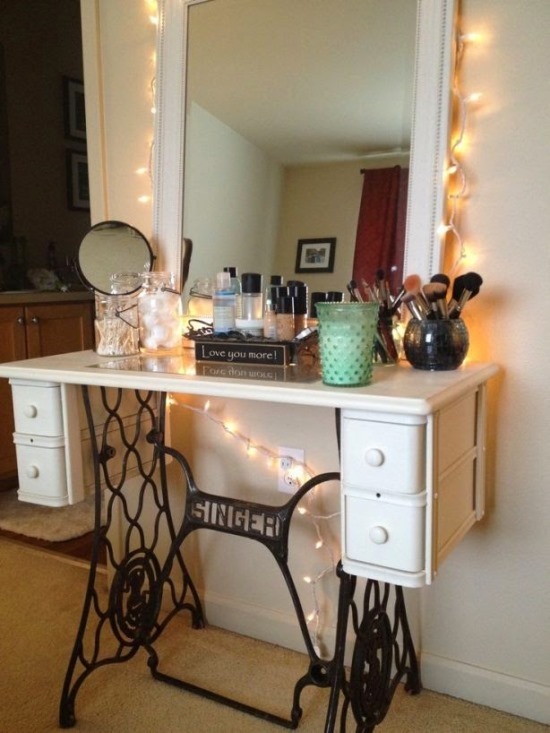 However, you can also make use of any antique and unused stuff you have in your house. 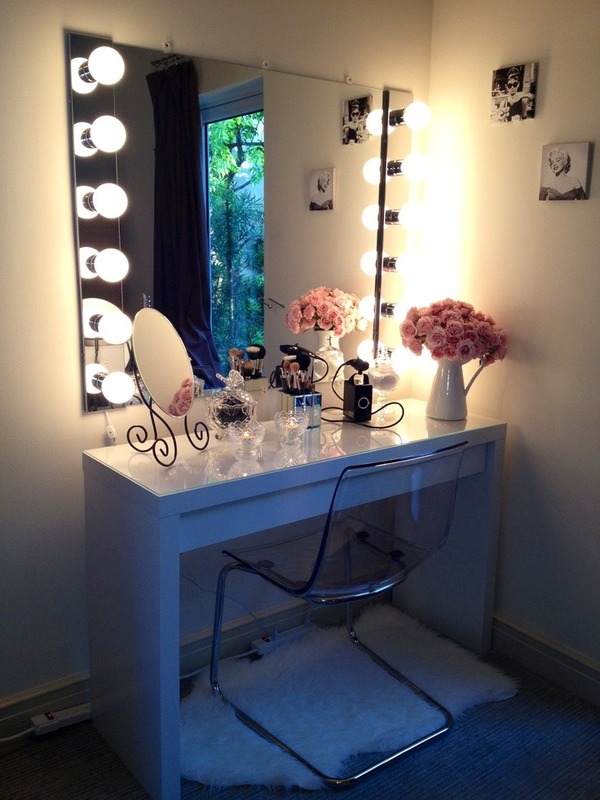 Mirrors play an important part of your makeup vanity set. 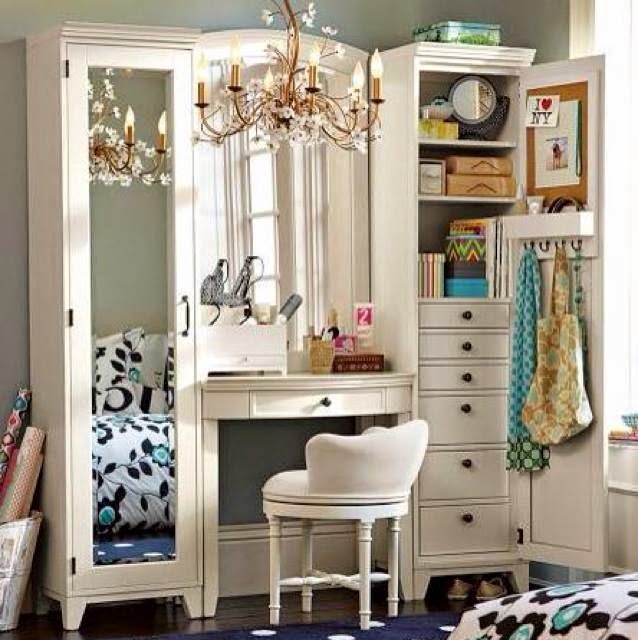 You could have your mirror play a double duty role for you. 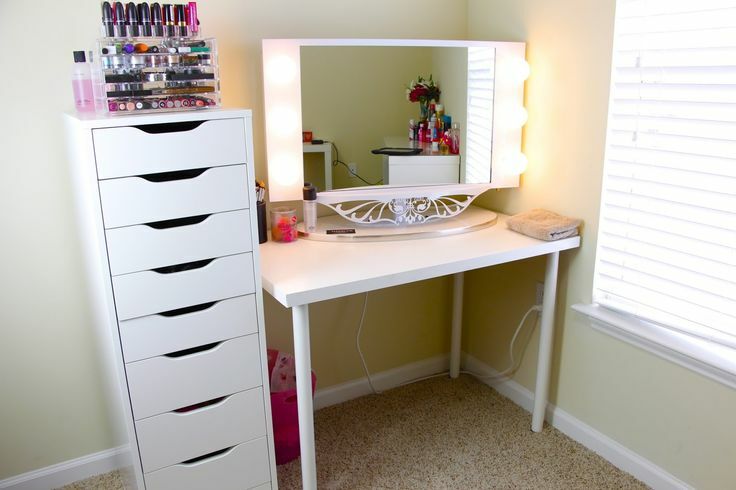 If you are installing the vanity table in your bathroom then you might as well have a hidden cabinet behind your mirror, which will give you ample space to store your makeup items and other accessories such as hair dryer, straightener, etc. 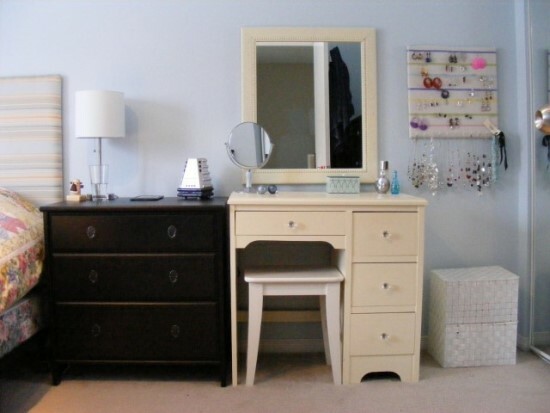 You could also convert an entire unused room say for example an old, seldom used sitting area or an attic, into your personal walk-in closet. 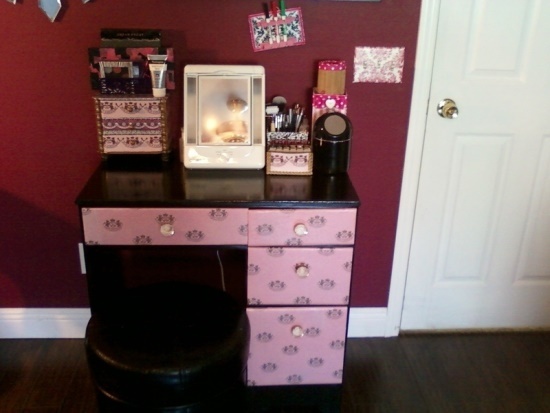 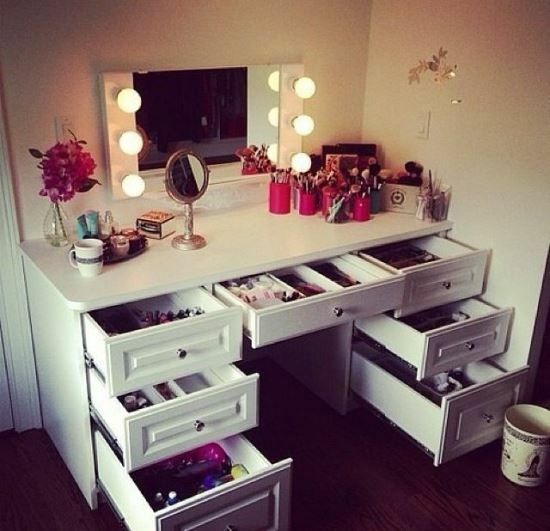 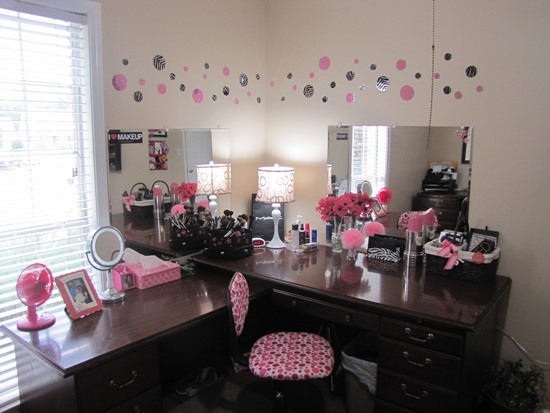 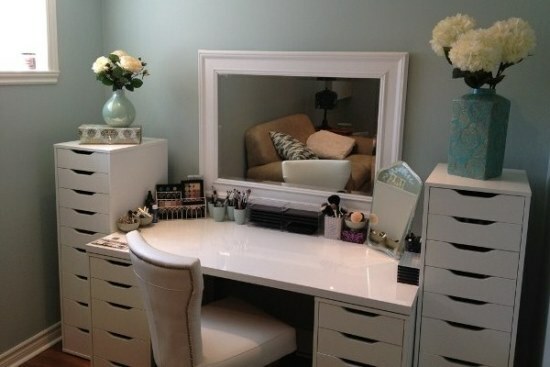 This would be the perfect place for you to install a makeup vanity table of your dreams. 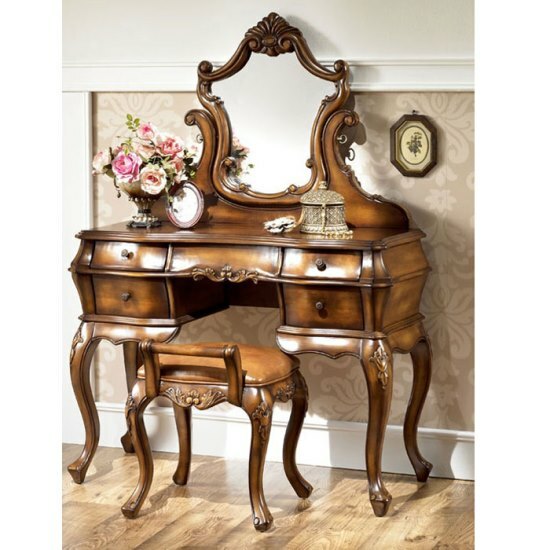 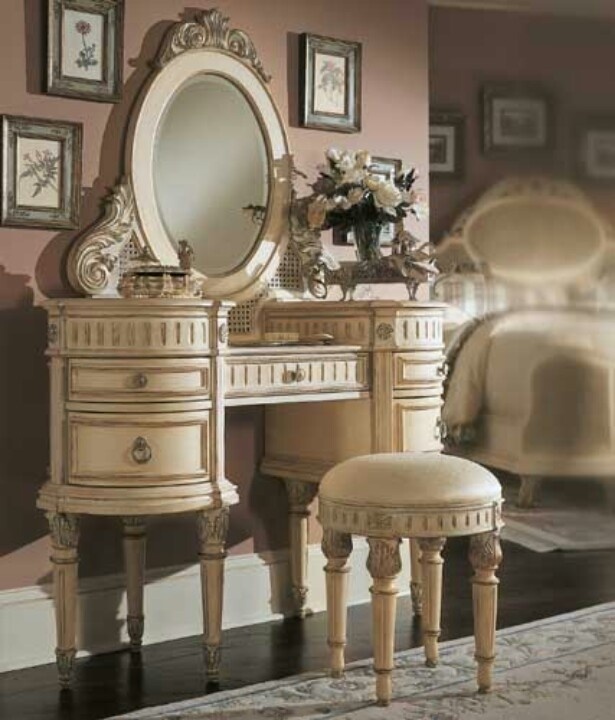 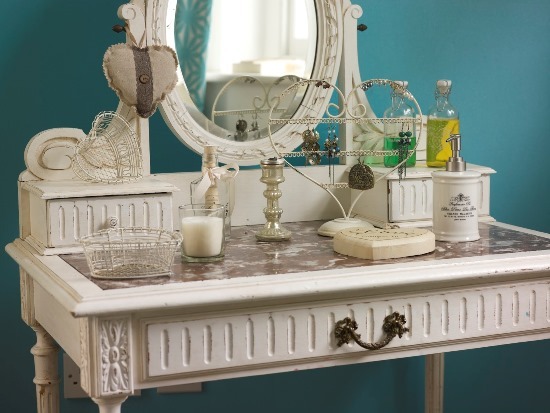 Antique items often work best when you want to indulge yourself with vintage themed vanity table ideas. 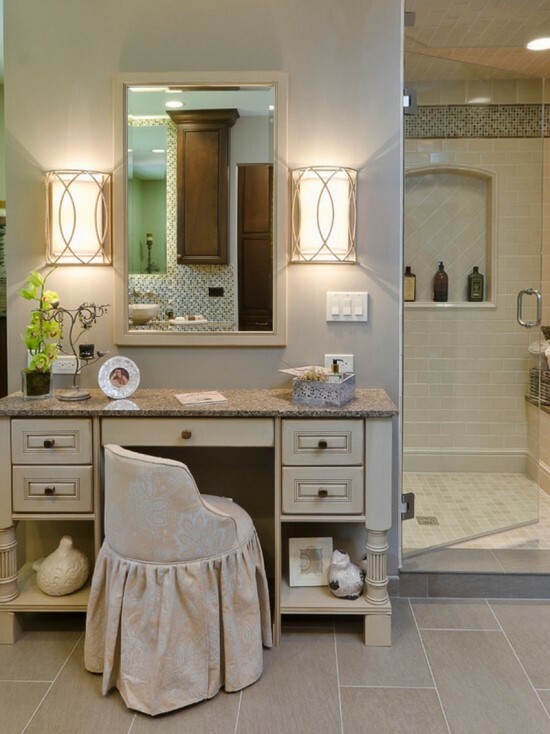 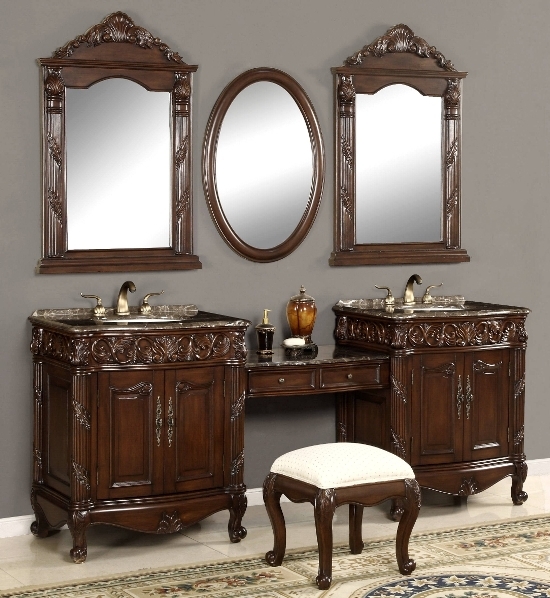 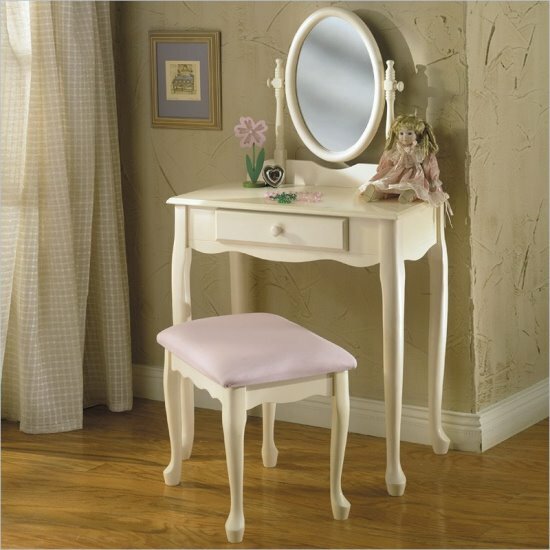 To further add comfort to your vanity table you can have a comfortable seating arrangement. 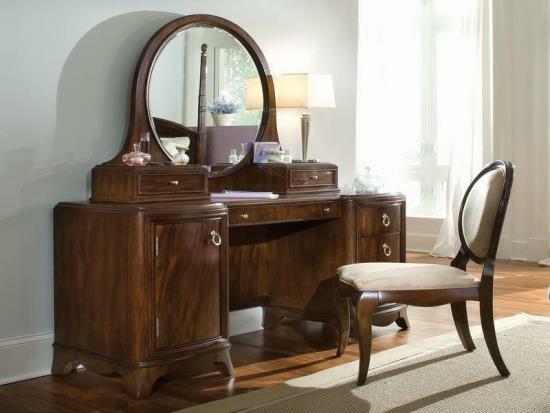 Placing an ottoman or a comfortable cushioned chair will allow you, not only to sit comfortably but also get ready for your day in peace and without any hassle. 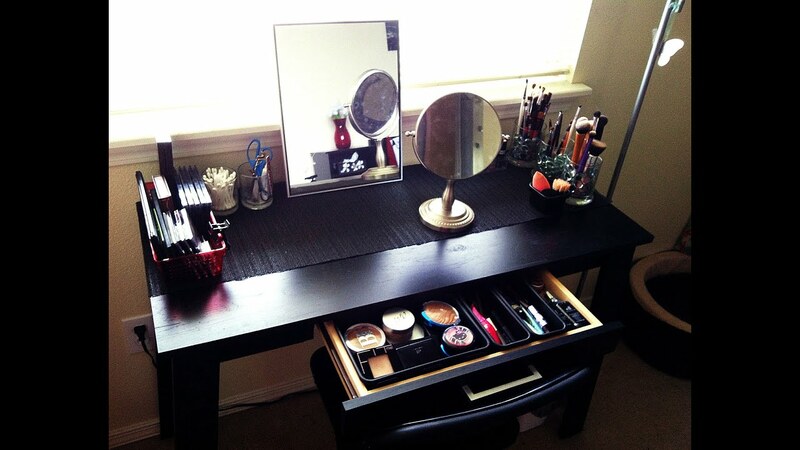 As far as the vanity table is concerned, you can either install a brand new or reuse an old study table or so. 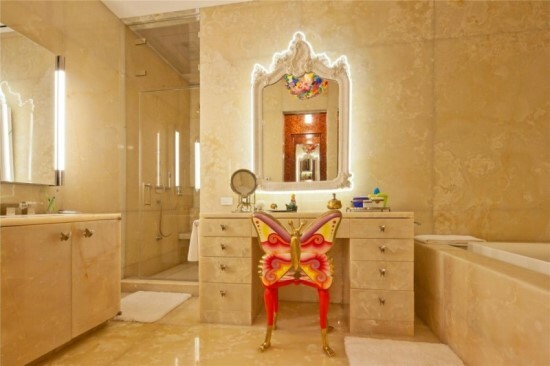 For the mirror, you again have a choice of having it hang off the wall or have one that you can place on your vanity table itself. 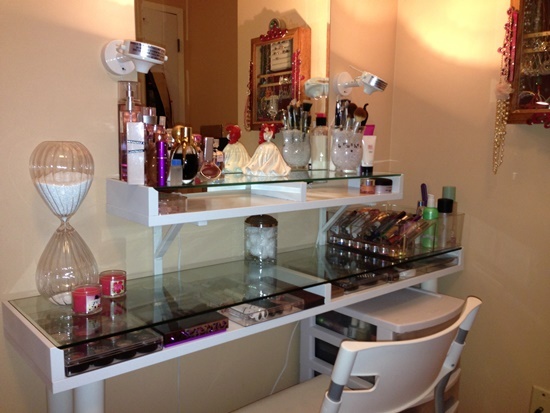 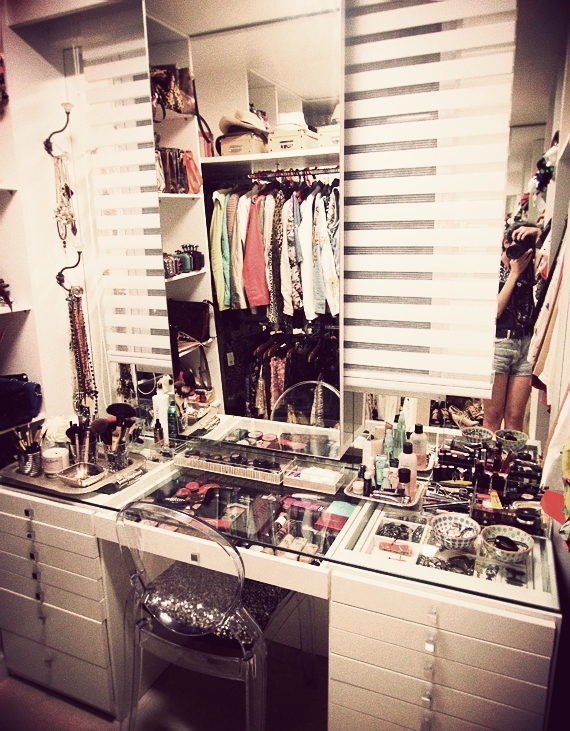 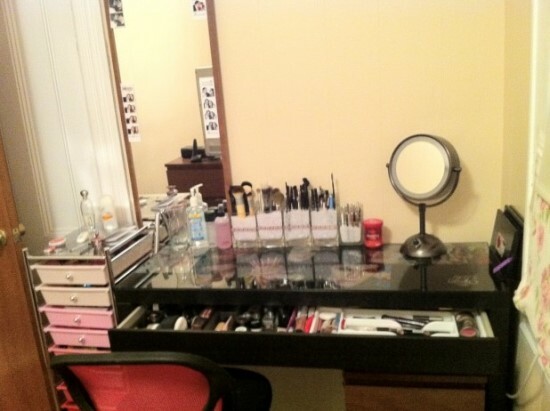 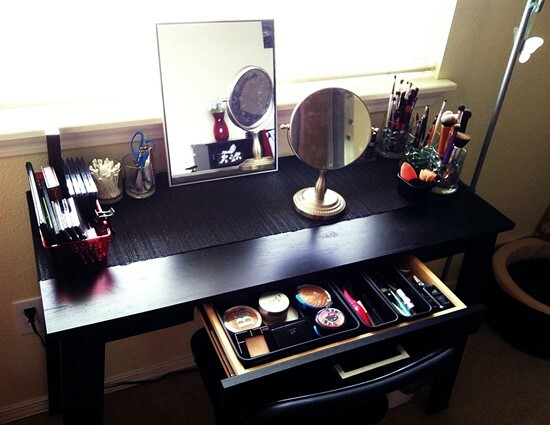 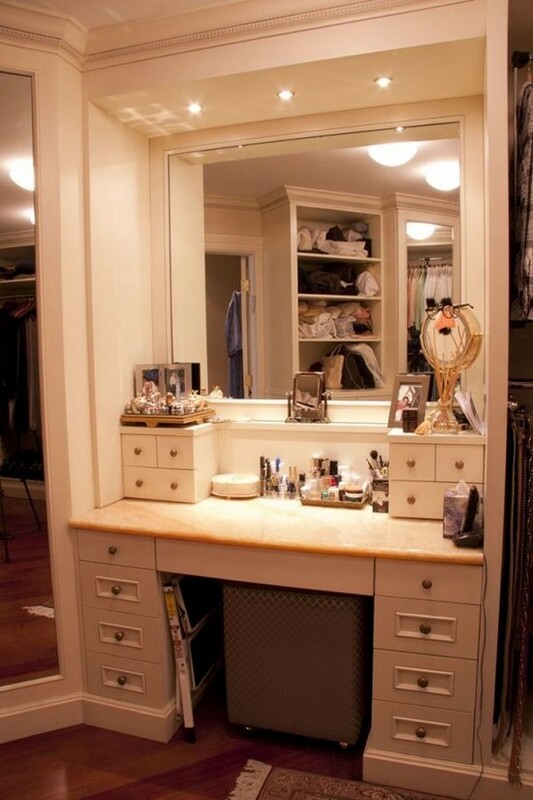 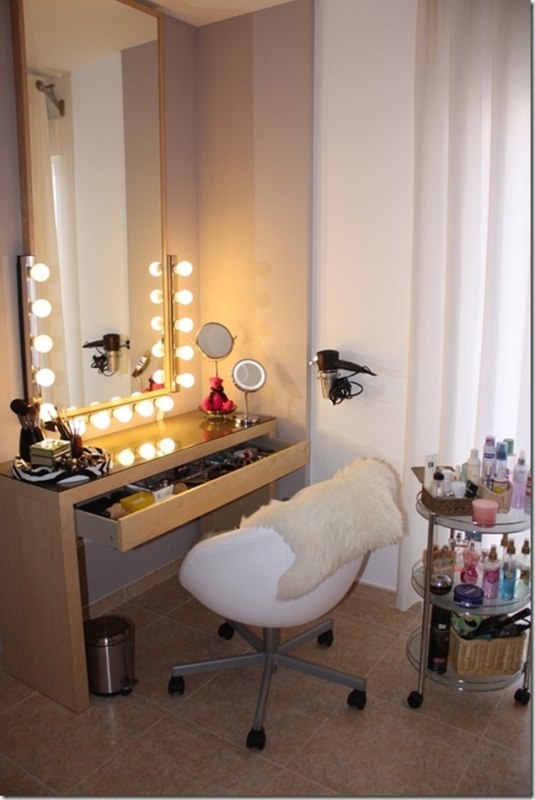 Having a mirror over your vanity table will make applying makeup easier. 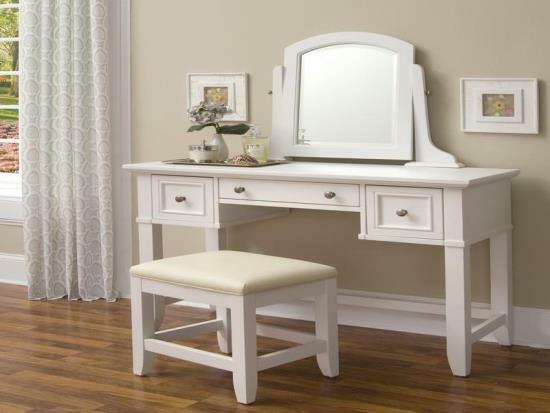 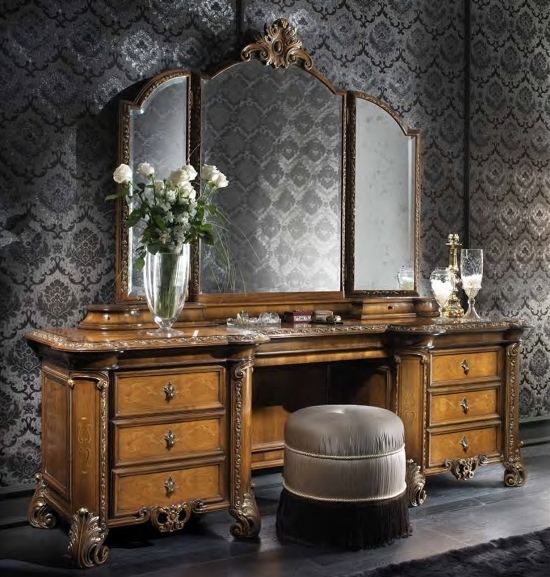 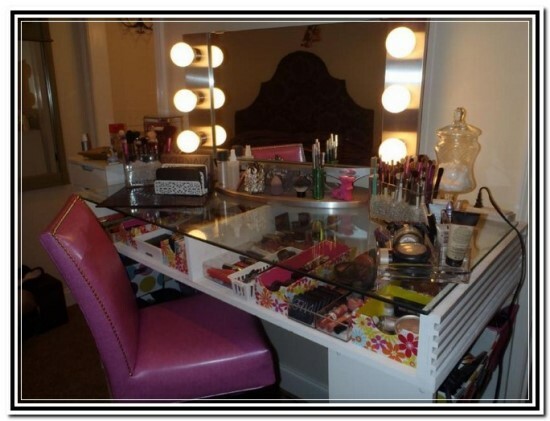 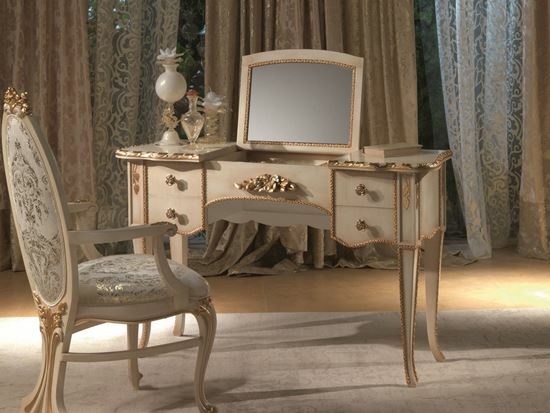 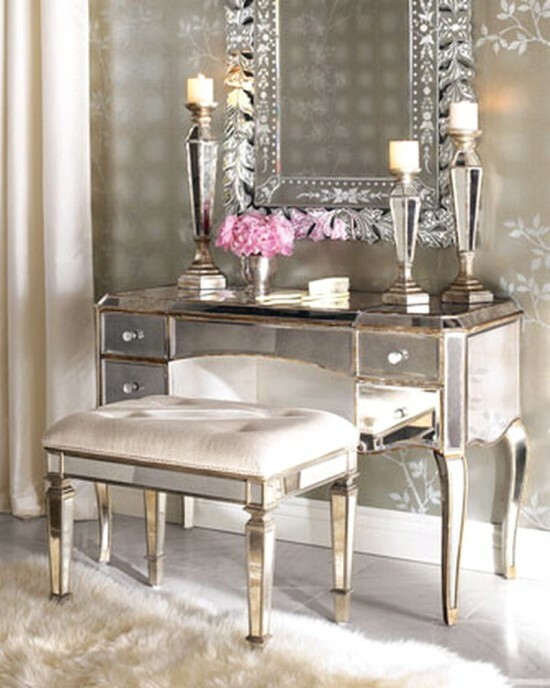 There are numerable ideas you can apply when it comes to setting up your vanity table. 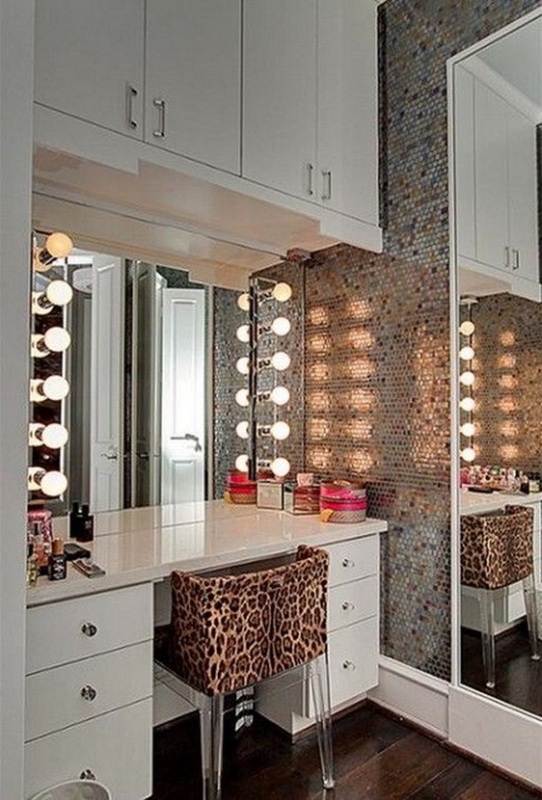 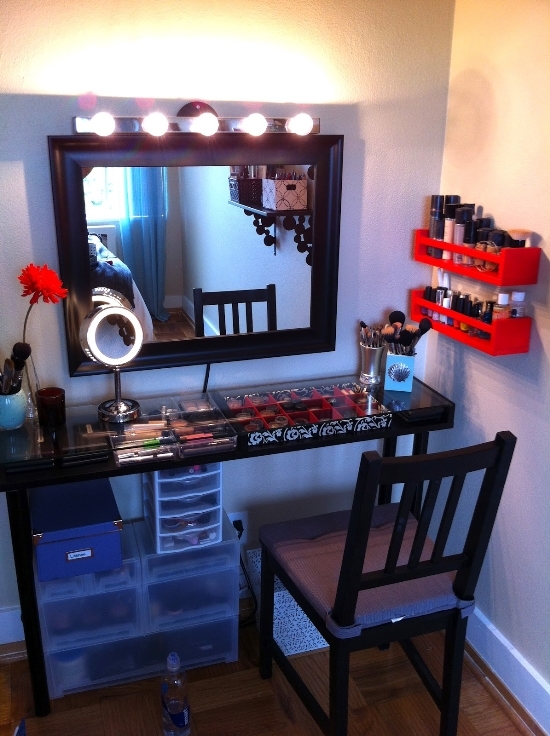 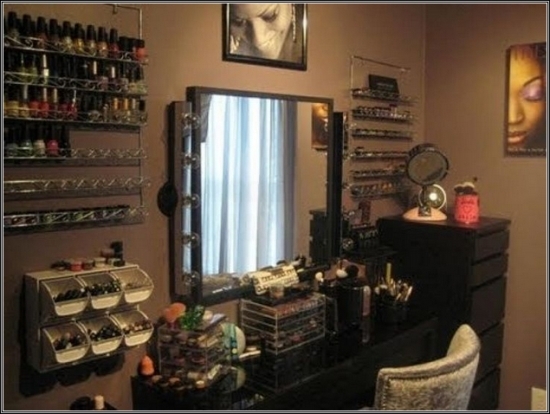 Here, we have gathered around 51 makeup vanity set ideas for you to go through. 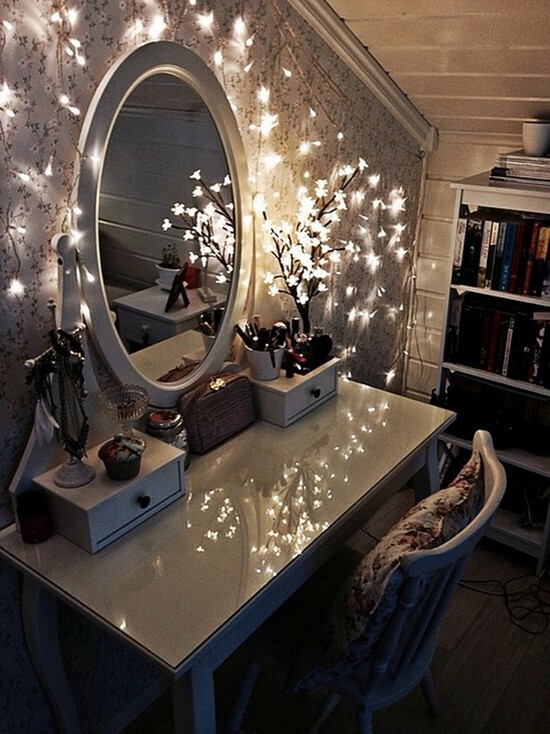 I love these mirrors with lights on side.